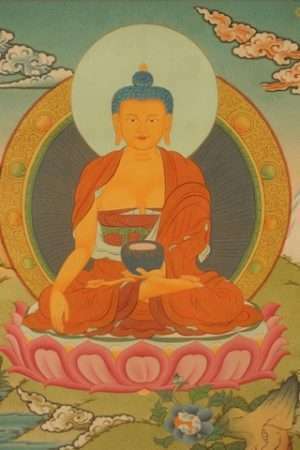 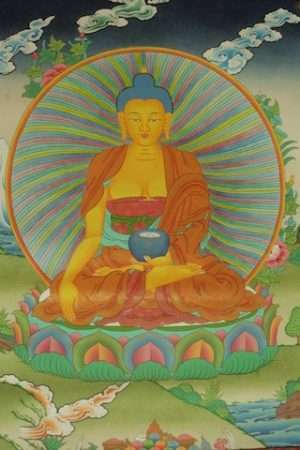 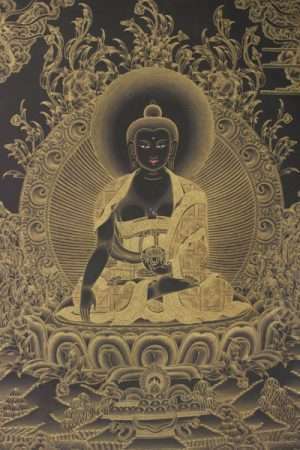 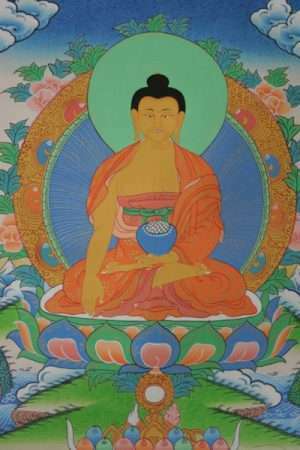 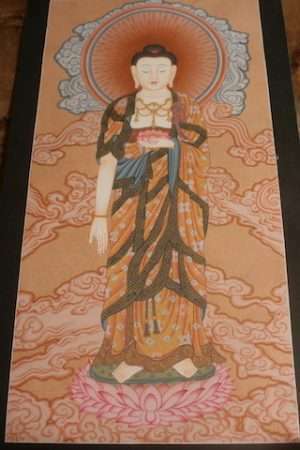 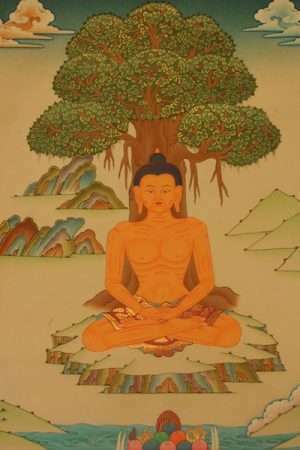 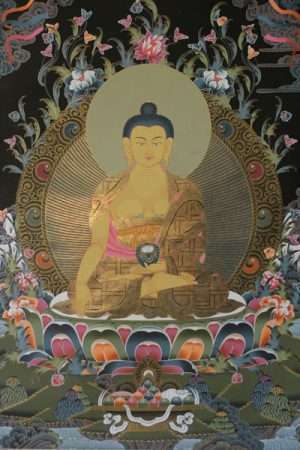 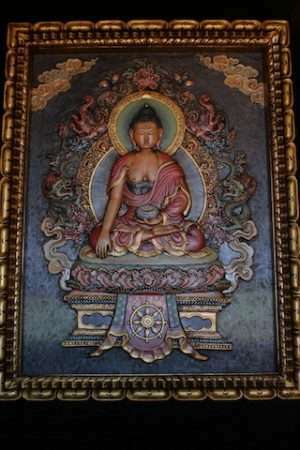 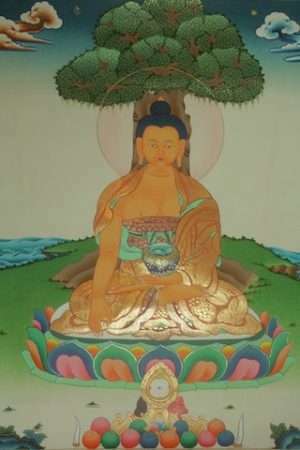 Shakyamuni is the historical Buddha who gained enlightenment beneath the bodhi tree 2500 years ago in India, the embodiment of wisdom and compassion and energy. 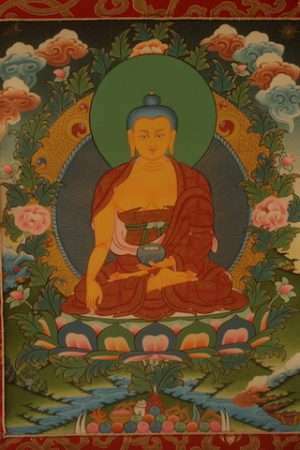 His mantra is “om muni muni maha muni shakya muni shah”. 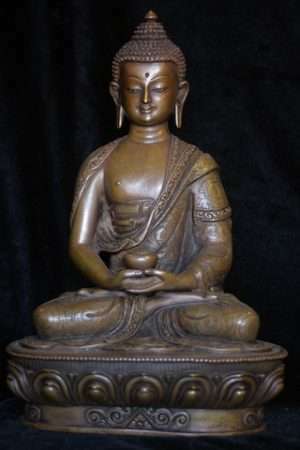 Also known as Siddhartha Gautama Buddha, the founder of Buddhism. 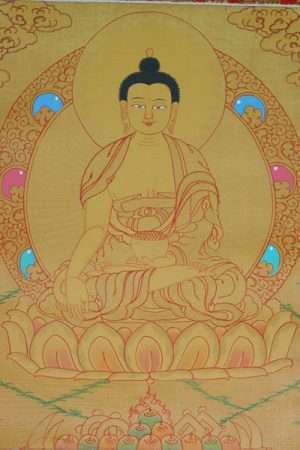 His mantra is ‘om muni muni maha muni shakyamuni svaha’. 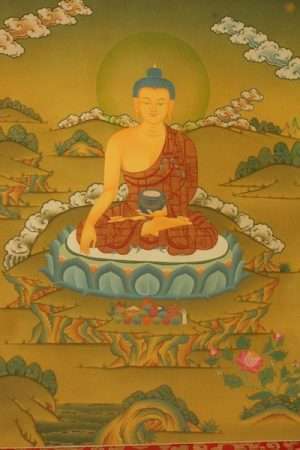 All the Dharma teachings flow from the Buddha and from his teaching the Sangha or spiritual community arises. 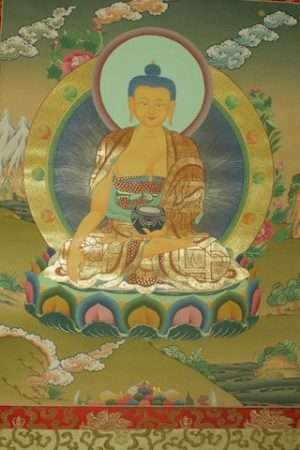 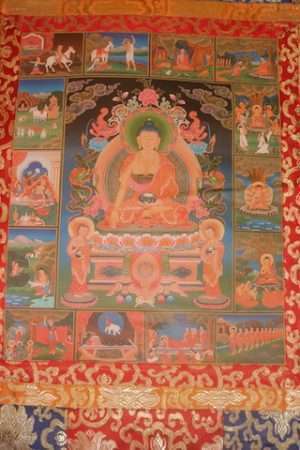 Thangkas are said to be doorways to visionary or archetypal world and great supports to practice and meditation accompanied by chanting and devotional practices, the central figure comes alive to the imagination and heart.